I think it says a lot that when I got back from Bloggers' Weekend, I felt relaxed and not like I had been on vacation. Usually when you stay at someone else's house for a while, it's awkward, but I felt right at home at JenJ's. 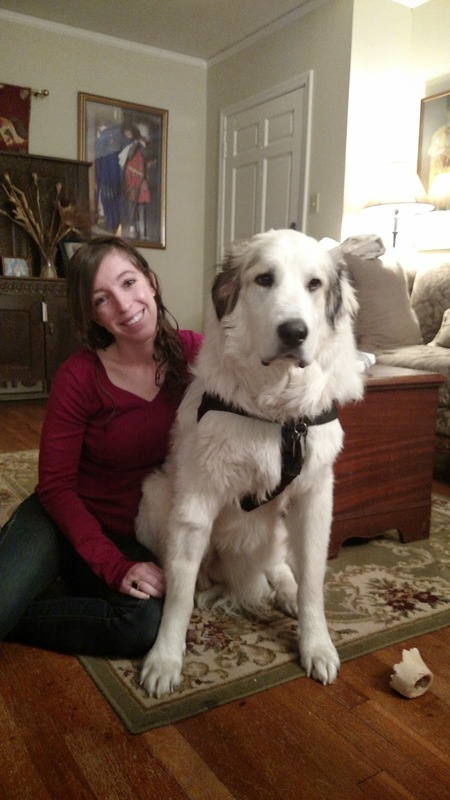 Everything is bigger in Texas, including Jen's 1 year old Great Pyrenees, Gus. I weigh about 10lbs more than he does! Brego and Paddy! 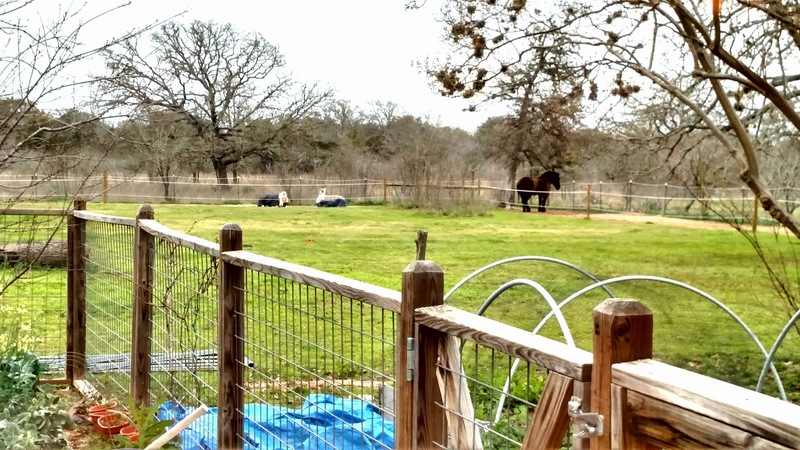 I have a thing for well-set up tiny farms, and Wyvern Oaks is a seriously well set up and well-maintained place. I had flown in to Houston on Tuesday, spent two days with my childhood best friend, then took the bus to Austin on Thursday. 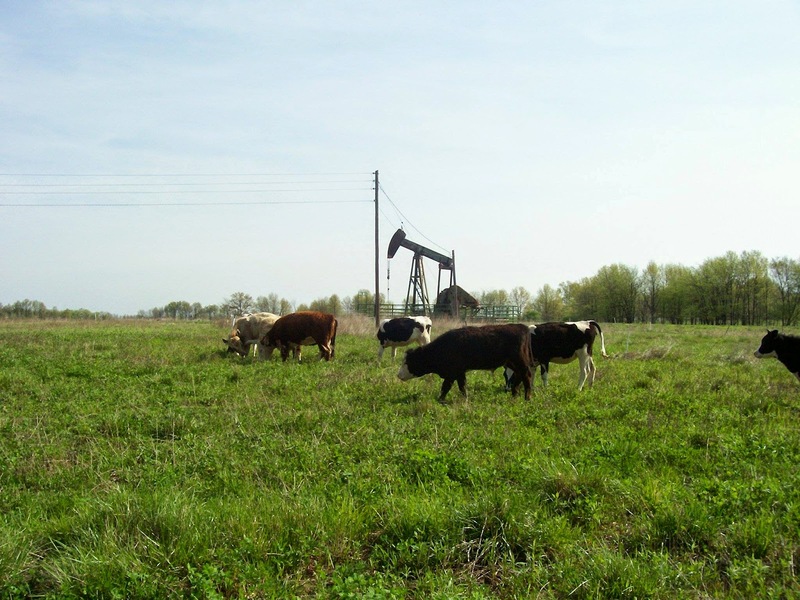 Rural Texas looks very much like my backyard growing up, with lots of cattle, cattleguards, and oil pumpers. This is actually a picture of my backyard growing up. Detailed recap on serious Brego riding coming soon. He taught me a lot. 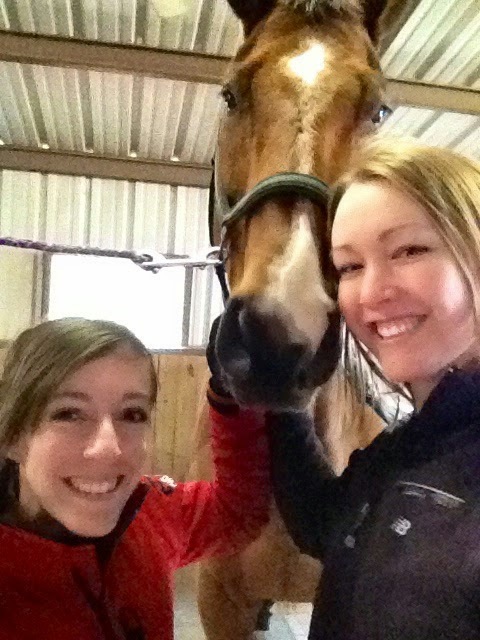 I spent most of Friday with Lauren and Genny, and got to ride Simon! He is awesome, you guys. 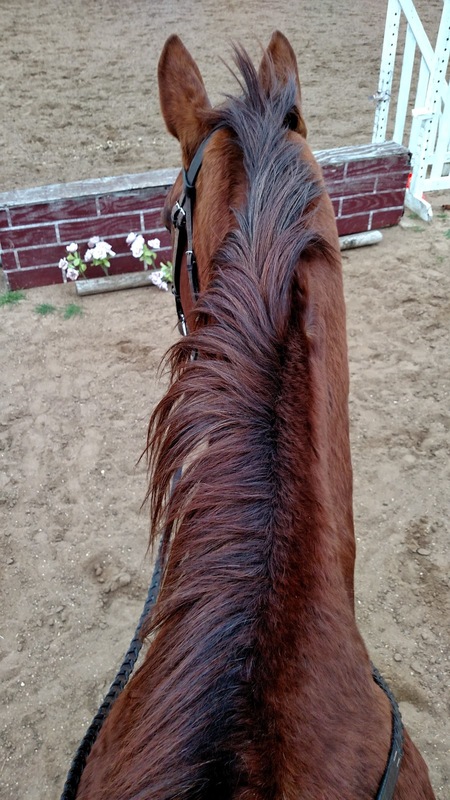 I loved riding him. He was forward, and happy, but I never felt unsafe, and he clearly knows his job and does it well. Lauren has really done a great job with him. You see me rollin'? 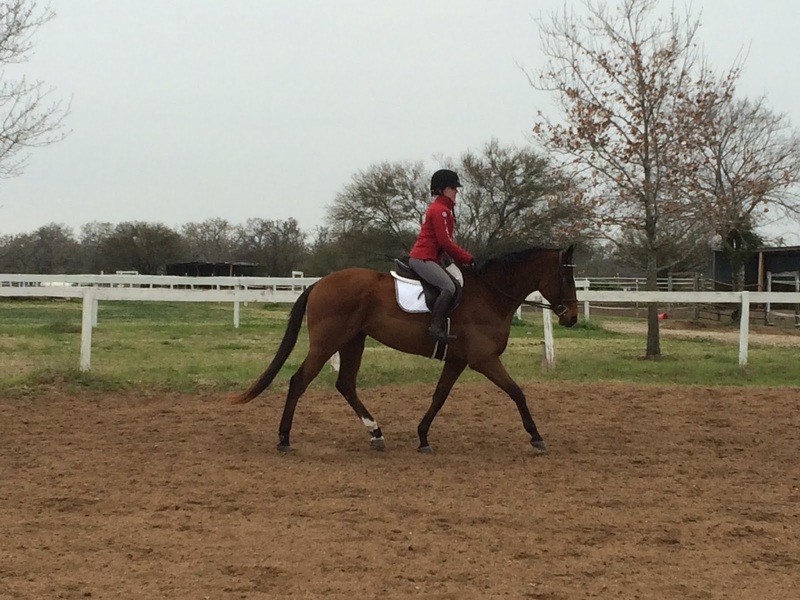 Literally, those stirrups are rolled twice! After that it was time to thaw out and meet everyone else! More to come. It was! I hope more people can come next year. Me (and Simon) certainly enjoyed having you! Hoping this becomes a yearly thing and I know I'd make an effort to get somewhere outside of TX for sure. Ro-lex Ro-lex. 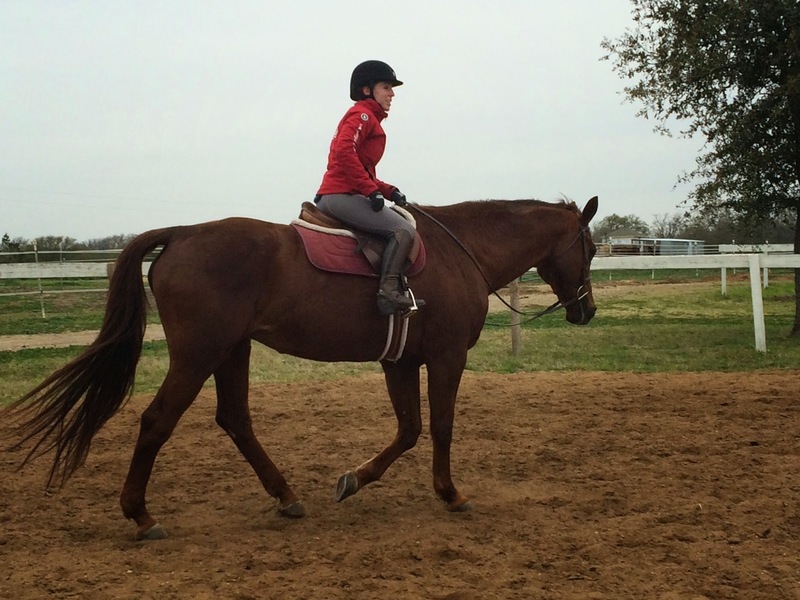 But seriously, thank you for hosting us and putting all that work into it, and letting me ride Simon. It was great! 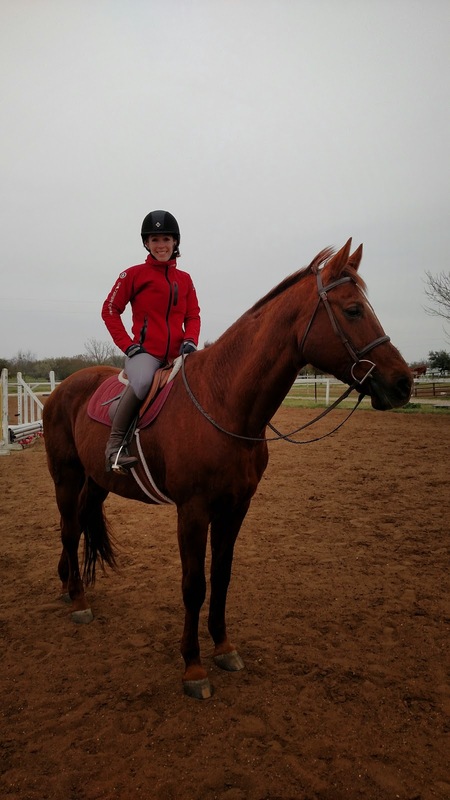 Ps the cwd jacket looks awesome!!!! The setup of Wyvern Oaks is SERIOUSLY impressive! I know! I was telling my mom all about it, since they have a similar but not quite as well maintained setup. I loved it. Aw, thanks! It's actually in desperate need of spring cleanup - we had hoped to have it tidier before the weekend, but the weather being what it was and all... give it another 3 weeks and it will be at its prime! Great to meet you at Lauren's!